Al Schmidt and Jack Zhou collaborated for years before forming A&J Energy Consultants in 2009. Al was a building industry consultant and trainer, while Jack came from a building science background and excelled in whole house energy simulations. Together, they have built a leading energy consultancy specializing in building best practices, energy efficient housing and labelling. In A&J’s first year, the company evaluated and labelled 34 houses at Stonecroft Communities in New Hamburg. Since then, we have evaluated over 10,000 houses for more than 50 builders across Southern Ontario, ranging from Windsor to Bellville and Muskoka. Though the company continues to grow, our mission statement “your success is our success” continues to be the core value driver of our business development. In recent years we have trained new staff members and developed relationships with utilities, government, and educational institutions in order to deliver the best possible service and support. With further growth planned, A&J will continue to deliver the best in energy efficiency and help our builders construct better, more comfortable, and more profitable homes. Al Schmidt has worked in residential construction as a carpenter, framer, cabinetmaker, builder, and consultant. For the past twenty years, Al has focused on independent consulting for private industry, utilities, and various levels of government, including a decade with A&J Energy Consultants. 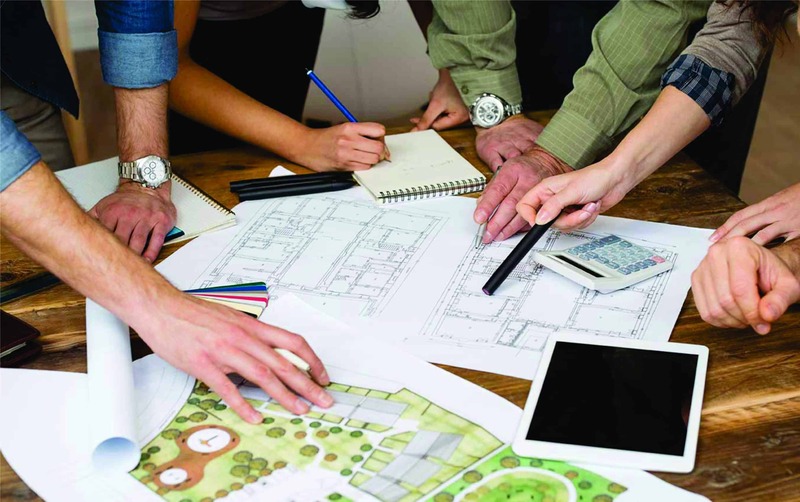 Al specializes in achieving cost-neutral code compliance through ENERGY STAR® and other value-added performance paths by using smart building practices to reduce construction costs and waste, streamline the building process, and reduce service calls. He is a senior consultant for the Optimum Home Program, a market transformation program sponsored by Union Gas that promotes High Performance Housing to Ontario builders. 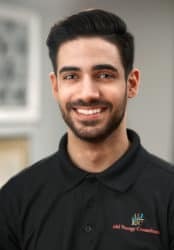 He has also worked as a trainer with EnerQuality Corp for ENERGY STAR for New Homes, R-2000, GreenHouse™ Certified Construction, and LEED Canada for Homes, as well as working as a Lead Building Canada consultant and facilitator for the LEEP / TAP programs. Within A&J, Al works as a managing partner and oversees company operations, as well as sharing business development responsibilities with Jack. With a background in building science, Jack Zhou has worked in low-rise residential construction since 2004. Early in his career, Jack worked as a framer, insulator, drywaller, installed Hi-Velocity duct work, and performed energy simulation using HOT2000 and HOT2XP. He later earned the HRAI Residential Air System Design Technician (RASDT) Designation and Residential Hydronics Design Technician (RHDT) Designation, and started designing HVAC systems and performing energy audits for existing homes. He came together with Al Schmidt to create A&J Energy Consultants in 2009. Jack specializes in using energy modelling to create practical solutions for builders to address energy efficiency requirements, both provincially and nationally. 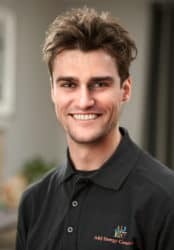 As he believes that ongoing education is key to excellence, Jack has obtained five professional accreditations to date and continues to study to bring the most current information to his clients. 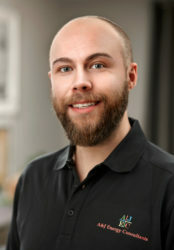 In addition to his consulting work, Jack teaches energy efficient housing techniques through both private and public sector organizations, colleges and universities in Ontario, British Columbia, the Republic of China, and South Korea. 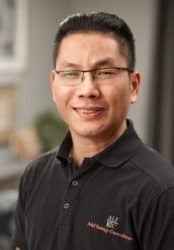 He also works as a Technical Committee member for Ontario Home Builder’s Association (OHBA), EnerQuality Corp, and Natural Resources Canada ENERGY STAR® for New Homes Standard. Within A&J, Jack oversees the technical aspects of the business and is in charge of training and certification, as well as sharing business development responsibilities with Al. Julia Claus had been working as a teacher and artist prior to learning about the energy efficient construction business from Al Schmidt. On her own, and then with Al, she has completed many hands-on total home renovations. 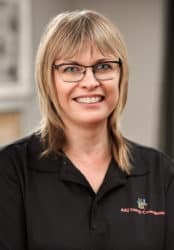 Al’s consulting business was growing so she joined him as an assistant and administrator for CTCS (Consulting Training Construction Services), prior to stepping in to help organize A&J Energy Consultants. She took over all of the administrative duties as well as assisted with site training. During the past 10 years, she helped with the development of a builder database and invoicing system. She is also on the consulting team for the Optimum Home Program. As a business owner and former college instructor and photographer, Karen brings a diverse set of skills to her role at A&J. 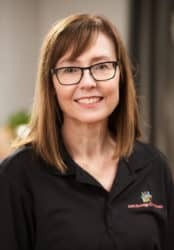 Karen has been a member of the team since 2012, and uses her business background and expertise in managerial and administrative positions to help the business excel. 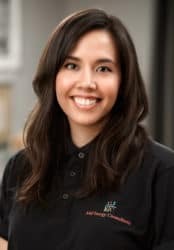 She currently coordinates enrolments in the ENERGY STAR for New Homes, EnerGuide, and SB12 Performance programs, as well as coordinating builder construction data with A&J’s operations team. Dan is a graduate of Sheridan and Conestoga college. He has been working in the industry for the past 8 years as a certified Energy Evaluator. During that time he has worked on a variety of building verification and testing programs including OBC SB12, ENERGY STAR, GreenHouse Certified Construction, Savings by Design and Eco Energy home retrofit. Sacha has a degree in Environmental Sciences and a background in construction project management. In addition to being a Certified Energy Advisor since 2015, he is also a Quality Assurance Specialist and a Net Zero Energy Advisor. Sacha delivers many services on behalf of A&J, including energy modelling, site training, EnergyStar & SB12 compliance, EnerGuide labelling, and air tightness/blower door testing and troubleshooting. 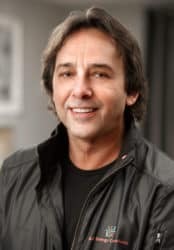 Sacha combines his strong understanding of building science and construction practices to help builders effectively exceed both their quality and energy efficiency goals. Miyoko specializes in high-performance construction, with a focus on low-energy building design. Currently, her work with AJEC involves on-site diagnostics, site training and energy analysis. Her passion for energy efficiency and sustainability has led her to manage Enbridge Gas Distribution’s Savings by Design program on behalf of AJEC’s builder clients. Over the past 5 years, she has participated as a program manager, subject matter expert and energy modeller for the Savings by Design program. Luis graduated from Ryerson University with a Bachelors in Architectural Science, specializing in Building Science. With a passion for architecture and sustainability, Luis works towards providing energy efficiency and airtight construction for our clients. Alongside being the primary energy modeller at A&J, Luis assists with SB12 compliance, blower door testing, troubleshooting as well as ENERGY STAR labelling as a Certified Energy Evaluator. Luis also created and manages the A&J website.